Microsoft’s most famous face has given Windows 8 his stamp of approval. During a recent interview with the Associated Press to discuss the Bill and Melinda Gates Foundation’s participation in a global mission to end polio, Bill Gates made a few comments about Microsoft’s upcoming operating system. 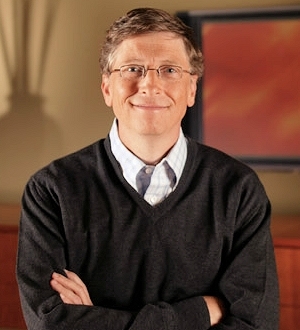 Gates told the AP he is already using Windows 8 and is very pleased with it. Unsurprisingly, the co-founder of Microsoft believes Windows 8 will be a big deal partly because hardware partners are doing “great things” to take advantage of the OS' new features. We’re less than a month away from what will be one of Microsoft’s biggest overhauls of Windows ever. Most expect the operating system to be pivotal in deciding the future of personal computers as smartphones and tablets continue to overshadow the tried and true PC. Of course, Microsoft is prepared should personal computers continue their downward spiral. Versions of the operating system will additionally be shipping on tablets and smartphones come October 26. It's an important step as the Windows & Windows Live division represented 27 percent of the company’s revenue in 2011. But as the numbers indicate, it’s not all about their legendary operating system these days. The company has been diversifying their product line to include much more than software. Their gaming division is anchored by the industry-leading Xbox 360 gaming console which just so happens to be developing into a major media hub in living rooms across the world. Redmond also makes a decent profit by supplying computer services to businesses and corporations. Either way, there's no denying that there will be a lot of pressure on Microsoft to deliver big in the next several months.